The first thing you will notice about the interface is its speed. You can power up the device from a cold start in at about ten seconds. Waking the device from sleep is about as fast as waking your cell phone. That speed feels fantastic on a mobile console where you might need to start and stop playing quickly during your commute. Being able to grab the device and dive right back into a game as dense as Breath of the Wild with no load time feels magical. System wake to game time. The animation choices also reinforce the feeling of speed. Every UI transition is rapid. Almost imperceivable in some cases. Fades, pulses and bounces occur so fast the whole system feels like a sugar rush. Check out my avatar ready to play the currently selected game. It’s eager and ready to go! Let’s play. Come on. Let’s go. Let’s do this now! The first layer of priority is games. They are laid out horizontally as squares. They take up the majority of the screen ordered by the recency of what you played last. Developers seem to make maximum use of this space with lush colorful graphics representing their titles. The secondary items are noticeable but defer to the visual weight of the game tiles by being significantly smaller. The purpose of this layer is to provide navigation to non-game surfaces in the UI. In the upper left corner is your profile and friends list, which has a number above it when friends are online. One player is online right now. The rest of the options are laid out horizontally below the games. This includes News, eShop, Album, Controllers, Settings, and Power. Nintendo has placed News and the eShop at the front of the list. It could be argued that a user’s content and settings are more important than new games, but this order is a common paradigm for systems like this. 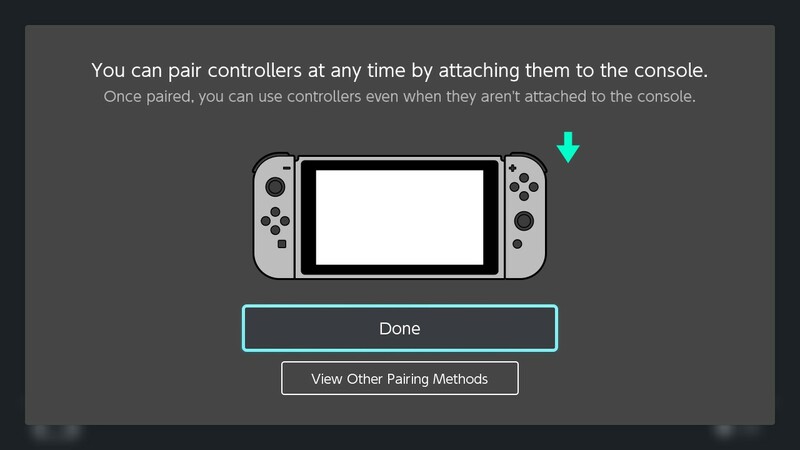 Power and Controllers could be placed within Settings for logical hierarchy but are accessible from this level of interface because Nintendo expects them to be used often. Color is used in this layer mainly to draw attention. 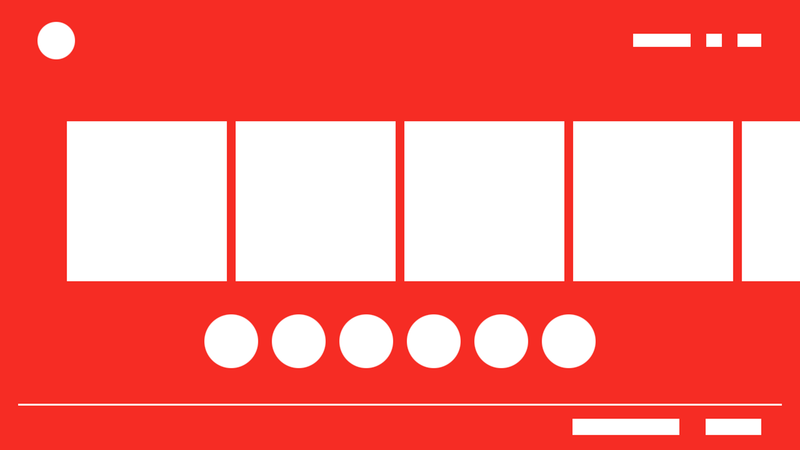 The iconography is not particularly obvious at first due to the somewhat abstract outline style, but the shapes become easy to identify after using the system for a short bit. No text is displayed with the icons unless one is currently selected while using a controller input. The user has to learn what resides behind each section by exploring them one by one. At the third level of priority on the main screen you have system information in the top right corner (time, wifi, battery) as well as controller status in the bottom left corner and action options in the bottom right. These are all presented as simple text or icons to display information you may be looking for without distracting. This main interface view could be designed a zillion different ways with various advantages and disadvantages, but I love how what Nintendo settled on is clear to the user. When I open the console I am more than likely doing so to play a game. It is immediately obvious if anyone is online to play with and my secondary options are all available to me with one extra tap or click. The interface contains a lot of navigation and information, but it’s completely approachable and lighting fast. I think they nailed this. 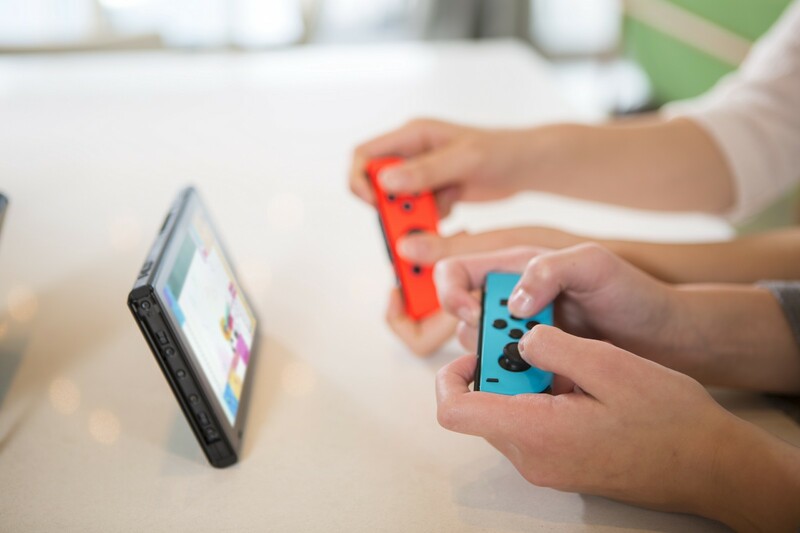 The Switch has the ability to be played as a portable screen as well as on an external display. 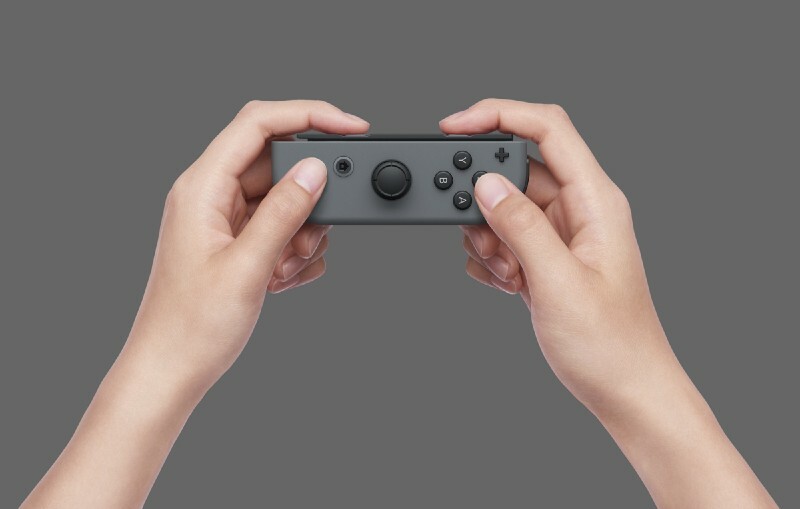 It allows the Joy-con controllers to be held multiple ways, changing the way the buttons are used. 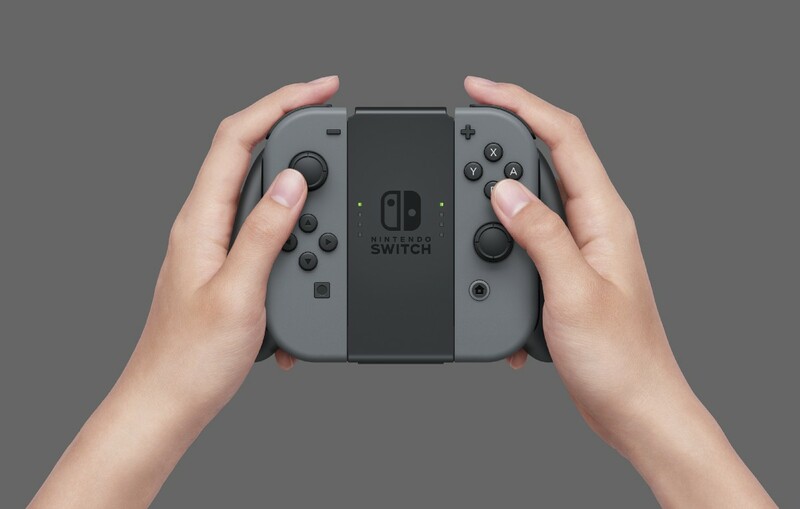 You can also interact with the Switch with touch input through the touch display. One option is that they could create two UIs: one for mobile and one for external displays. This could make a lot of sense to invest in because the mobile UI allows touch input. When the Switch is hooked up to a television, touch is not available. They could develop a more refined UI for each display scenario because the constraints are more defined. This would require the user to learn and interact with two different UIs. It would also put Nintendo in the position of maintaining the two different UIs and the added complexity that comes with that decision. The other option is they could create a single UI and allow it to work with or without touch input, regardless of the display. This solution would require compromises to the user experience since there are many overlapping constraints. Nintendo chose the ‘Single UI’ solution. At first it seems like a curious move, but it was the right choice for the overall user experience. The compromises that were made are washed over by the benefits and tightness of a unified user experience. One that always works the same no matter how you interact with it. The home screen of the Nintendo Switch. Text and image had to be legible both in portable mode as well as on a large display from across the room. The system also supports another configuration where the device sits on a kickstand on a table. In this position you are generally further from the screen than you would be if you were holding the device directly. Most surprisingly, the difference between using touch and controller input is almost a complete non-issue with this UI. It only becomes noticeable in moments where touch greatly excels. For example, if you need to input text and you are using a controller on a display. I mostly use the stick and button based inputs even when I’m holding the device in my hand. My hands are already in that position and it tends to be easier than re-adjusting my grips to input via touch. Sometimes I reach up to press an OK button on the screen just because I can and it’s fun. 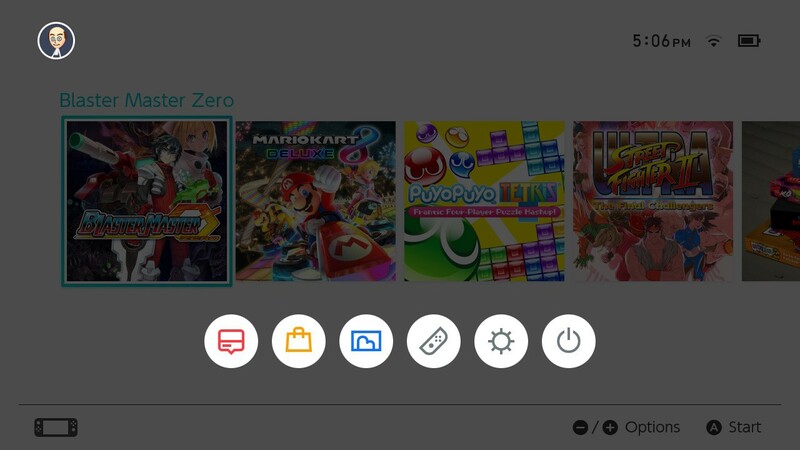 The buttons in the Switch UI have clearly defined borders or touchable shapes. It’s really comforting even when not inputing via touch because it removes ambiguity from the interface. The UI only offers one theme option at this point, a dark mode. I recommend the dark theme. Not because I feel it looks better, but the bright white of the normal theme feels overwhelming on a large television. At nighttime the whole room lights up when you wake the Switch. Both the Xbox One and PS4 have darker default interfaces for this very reason. White backwashes tend to be less alarming on a mobile screen, but noticeable change your physical environment when applied to a large display. To wake the Switch you press the home button. There is a chance this button could be pressed accidentally while in transit. Nintendo’s solution to confirm the wake is to have you tap a button three times. That may sound annoying but somehow in use it’s not. It feels like a little warm-up, getting ready to game. You can turn this feature off as well if you prefer to live recklessly. 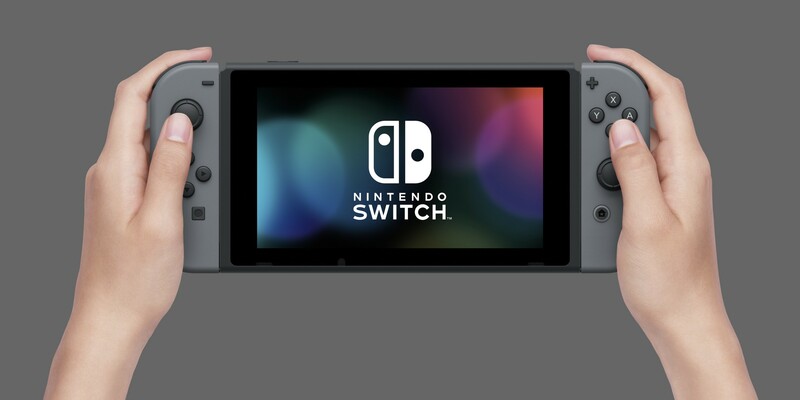 To unlock the Switch press the home button and tap any button three times. You can set up multiple user profiles on the device and quickly switch between them using the profile icons in the upper left corner of the main UI. 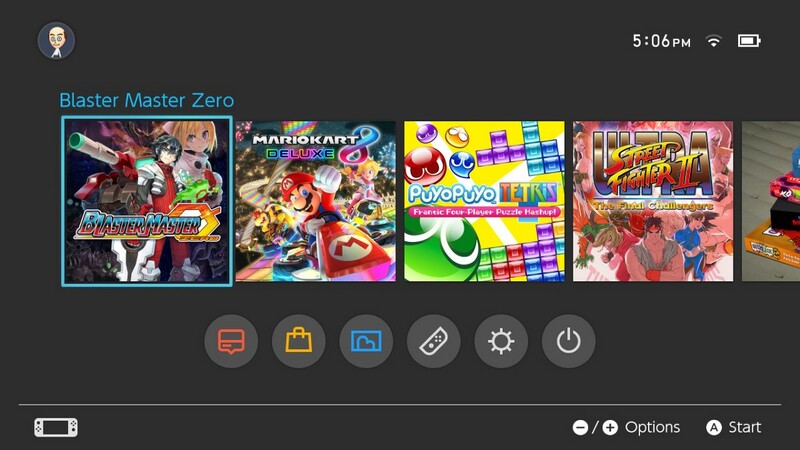 The Switch also has an option to allow you to choose what profile to use when you open a game. This sounds like a nice feature but ends up becoming unnecessarily tedious if you play multiple games in a session. Retaining the active user for the session would be a better solution. Your profile tells you information about games you have played. I can’t be more stoked about how fast and easy screen captures are on the Switch. There is a dedicated hardware button to capture the screen. The image goes straight to your Album and does not interrupt your gameplay. The social share flow is also effortless. You tap the share button from the selected photo in the album and enter any extra comments before posting. I have the privacy of my Switch account set to ‘Only Me’ on Facebook so I can share photos to my computer and phone without taking out the MicroSD card. I would love it if I could share these photos directly to other services like messaging apps. 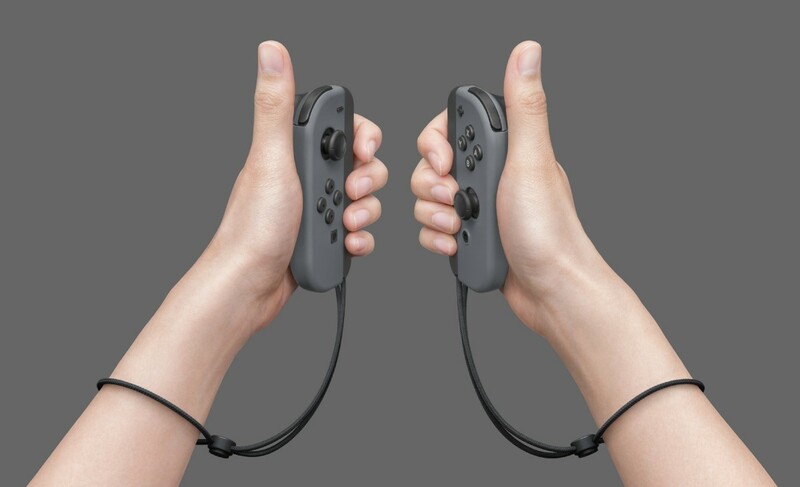 To pair Joy-con controllers simply physically attach them to the Switch. 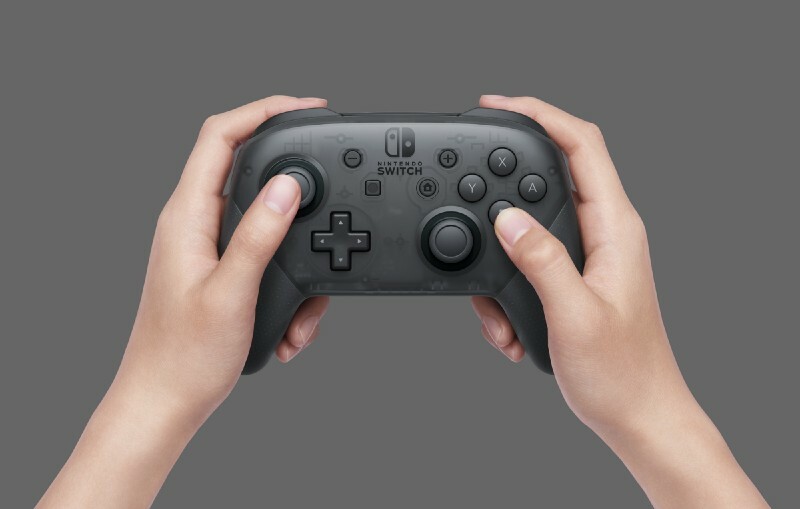 A Pro Controller is paired by plugging the controller in via USB into the Switch’s dock. Very low friction. Certain multi-player games use a technique of asking the player to activate a controller by pressing the L & R buttons simultaneously to determine what controllers are being used and their orientation. 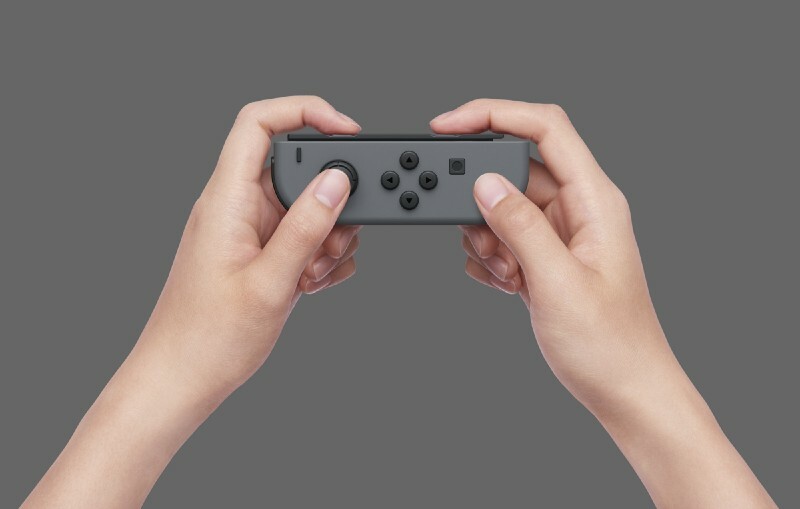 This is a super slick solution since the Joy-cons can be played two different ways and this behavior quickly allows the system to identify how the user is holding them. The quick menu enters from the right side and overlays the current view. Pressing and holding the home button for a few seconds brings up a quick menu which gives you quick access to Sleep Mode and Airplane Mode. Brightness and Volume are also available in handheld mode. 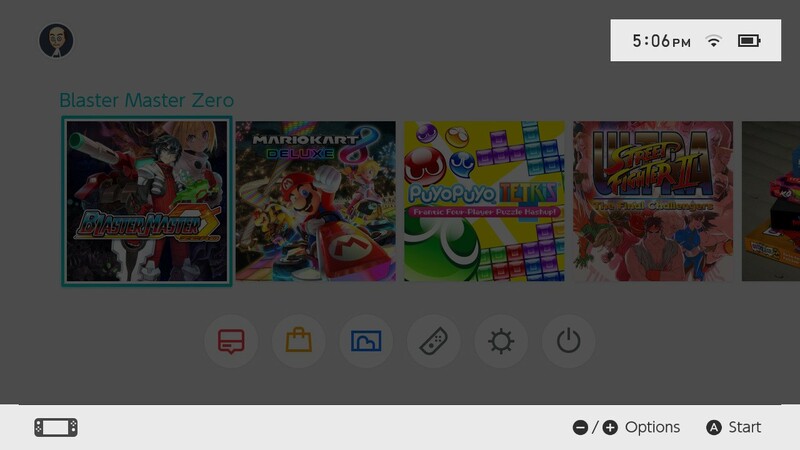 This menu is mainly useful for the Brightness Settings, but it also the best way to put your docked Switch to sleep when you don’t have access to the physical sleep button. The new user experience is strong overall. 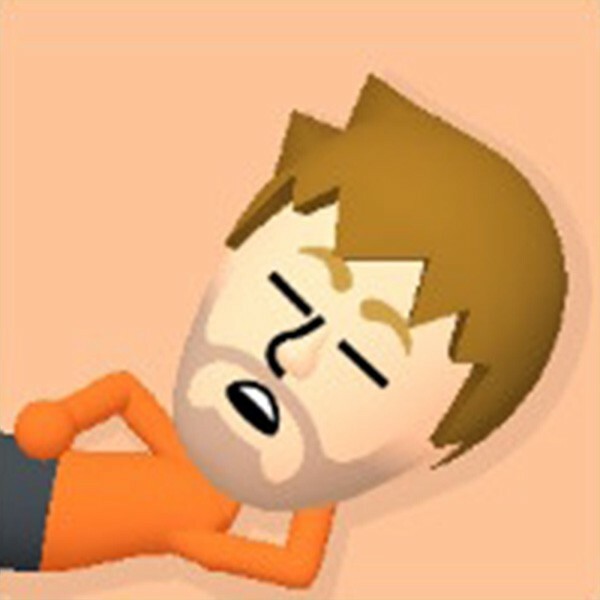 The most interesting part is that you are not required to have a Mii on the Switch. Instead you can select from some pre-determined characters. 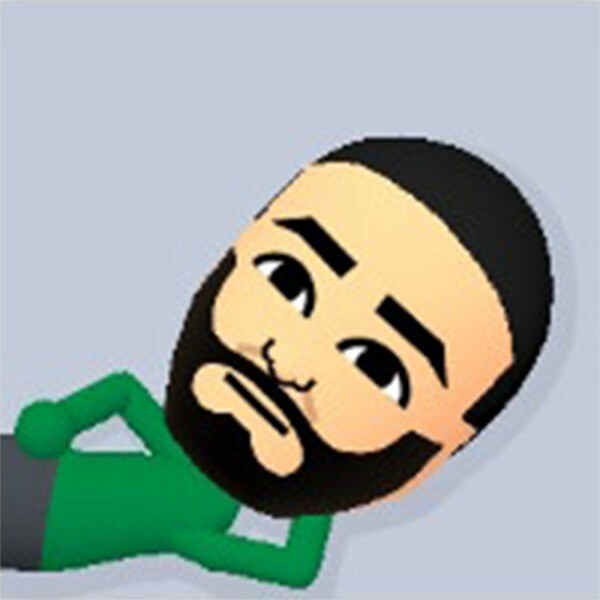 That being said, setting up a Mii is very fun and much easier to do than on previous systems. 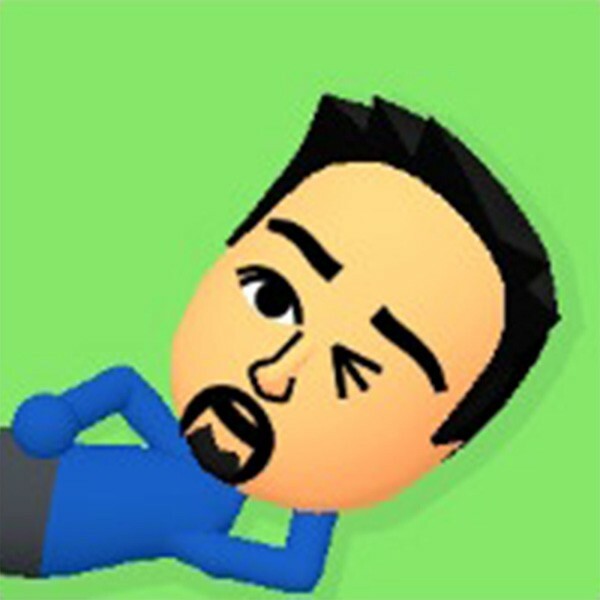 You can pose your Mii, change facial expressions and choose a background color for your profile picture. I have at least three friends in my friends list doing the ‘sleaze lean’. Getting casual with the ‘sleaze lean’. I’m excited about the future of this system and what further advancements will be made with the unique properties of the hardware. Nintendo has surprised me a lot with their innovation and restraint. I’m sure they are just getting started. 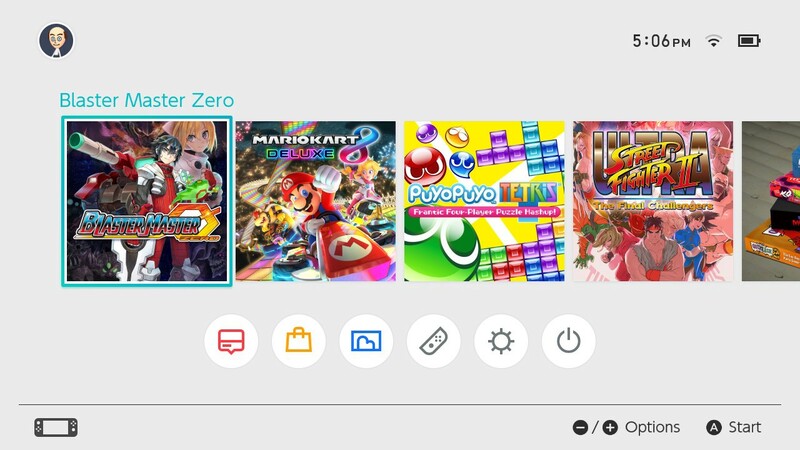 I’d love to hear your thoughts on the Switch UI. You can find me on Twitter @charliedeets. I also have a podcast called Games UX. You can listen to episodes on the website or follow along on Twitter @games_ux. 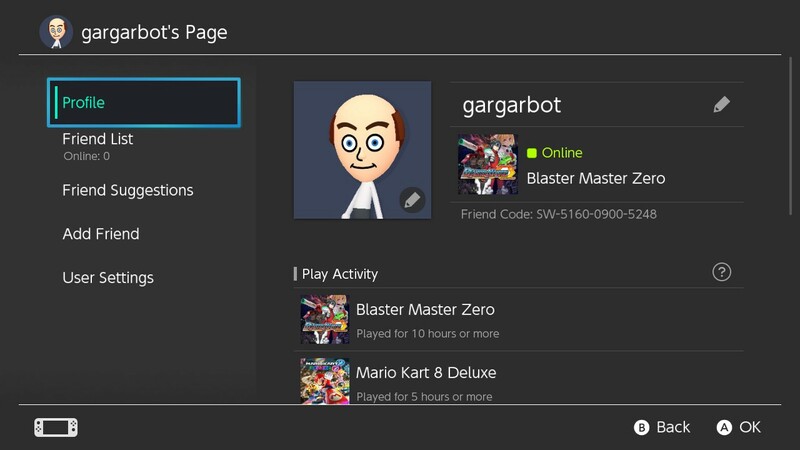 Also my Switch friend code is: SW-5160–0900–5248.